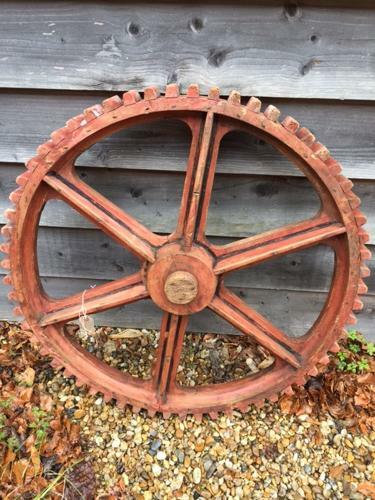 Stunning Large 19th Cent Mill Cog Pattern. All made by hand and used to form the mould for casting the cog in cast iron. Would look wonderful on a wall in the right setting. Still has it's faded red primer and black painted detailing.